From the lush green valley of Kullu (Parvati valley), to the barren valley of Spiti (Pin valley), there's a heaven to experience in its own kind. From exploring the pilgrimage centers of Hindu and Sikh religions at Manikaran to the Buddhist monasteries of Spiti valley, it is a whole lot of soulful treat. Trekking in the Himalayan ranges is always considered to be culminating. Himachal Pradesh is blessed with the Pin Parvati pass having an incredible view of natural scenic beauty in the icy mountain ranges of western Himalayas. 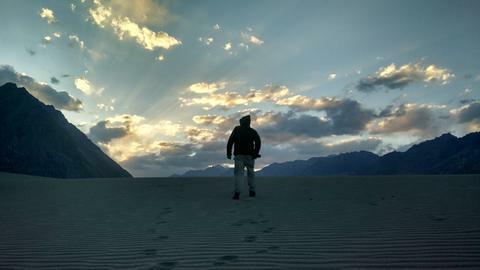 Pin valley trek is located at an elevation of 5319m which delights seasoned trekkers. Trekking out here is the best summer break from the blazing heat which will surely tempt adventure lovers. Arrive at Bhuntar to commence your wonderful journey towards the bewitching village of Pulga. We then commence the trek from Pulga to Kheerganga. The trek is exceedingly charming and will cover a distance of 10kms. The trail gradually climbs to Kheerganga which is a scenic place, now supported by a "shelter". Kheerganga is an open meadow and we will thus stop by for the night. Immerse into the dazzling beauty of Kheerganga and call it a day. Kheerganga is one of the most refreshing treks that one can undertake. The natural hot water spring experience is something that you will commemorate for a lifetime. You will surely want to soak in the comforting healing waters of the springs. The day initiates with a steep climb, and we cross the river by means of a small 6-inch-wide wooden bridge, to reach Tundabhuj. Tundabhuj is also an alpine meadow situated at an altitude of 3,285m (10,777 feet). The landscape is strewn with trees, waterfalls and lakes. The tree line terminates after Tundabhuj. The valley then widens and the following trail crosses several beautiful pastures brimming with a variety of exclusive floras. We stop by for the night, and get some sleep. Steady ascend to the gorge. Halt at tents, snuggle into blankets and get some cozy sleep. We start off the day with crossing the river. The means to cross it is a sort of metal swing structure resting on two wires. The person sits in it and has to pull a rope attached to the swing to reach the other side. It surely isn’t less than a mini adventure. Once on the other side of the river, the track shifts to the right side of the river and is a gentle walk for a kilometer or so. Thereafter, the gradient turns into an ascent and continues till we reach Pandu Pul (there are gigantic boulders right in the center of the river). Pandu Pul has a mythological significance. It is believed that when the Pandavas were in exile, they got to this area, and had to cross to the other side of the river. But the river flow was such that it was impossible to negotiate it. So Bhim pulled out two mammoth stones and threw them into the river, thus enabling them to cross the river. The trek begins with a simple walk, but the altitude takes its toll after a while. The trek changes to a more or less rocky terrain with gradual ascents, stream crossings, etc. The campsite is a totally flat ground surrounded by serene hills with the placid Parvati river flowing beside. There are lush green hills painted with Pine and Deodar trees on both sides of the river and it cannot get any more scenic. The landscape is no less than a shot from a movie. The trek begins with a boulder crossing and then a river. After the river crossing, there is a steady ascent to the top of a mountain. The top provides a flabbergasting view of the surrounding snow-capped mountains. Cross a few raging rivulets that originate from the glacier just 40-50 meters away. Then cross another bridge before reaching the Base Camp. The base camp is extremely serene and tranquil, surrounded by glaciers on three sides. A 10-minute walk from the campsite and we reach the glacier, which has to be negotiated all the way till the Pin Parvati Pass. It is a gradual ascent and the trail is surrounded by peaks on all the sides, the views of which are exhilarating. From Pin Parvati Pass, we keep moving down through the crevassed glaciated field, and reach the bottom of the glaciated field, the Spiti valley. There is another river crossing, fed by another glacier. The campsite is a 45 minute trek from this place. Make sure you stop by and capture a few snaps occasionally. The terrain is generally rocky, and flat at times. The trek is an easy walk along the left banks of the river, and is a totally flat terrain, as it is somewhat a motorable road marked by tractors going up till Chingput Maidan. Cross a stream and continue on the left bank of the river. As we move ahead, the village Mud comes into view. Mud is a small quiet village, nestled in Spiti valley with a population of about 270. After the hectic yet thrilling day, we head to the camps for an overnight stay. Following a sumptuous breakfast amidst the rich environment of Mudh, drive to Kaza. Sedentary or strenuous, for the expert or beginner, we offer a niche of sport and adventure for everyone. Equipment, training, instructors and special packages are available.